So, I'm watching The Food Network (http://www.foodnetwork.com/) the other night, one of those, "You'll be amazed how this is made" (and want to run straight to G4U Market to buy!) programs. This one was about Maine Sea Salt and an inappropriate use of hoophouses. I was just at the the Rehoboth Main Street Inaugural Chef Showdown and was thinking about chefs and their use of salt. I went to the G4U truck to leave, and, quelle horreur, it was covered in sea salt (I parked ocean block)! Coincidence? Hmm... the blog called! Actually Starbucks called and I figured I could kill 2 birds with one latte. Salt has a rap worse than that awful stuff my nephew listens to. Because of this bad rap, and my dual residency status (the amazing, sparsely-populated State of Delaware, and the over-populated State of Confusion), I decided to research salt. Salt has been highly valued for centuries. The sayings, "Worth his weight in salt", or, "She's the salt of the earth" reflects this. Yet, in our times, salt's place in our diet is misunderstood. Salt needs a better publicist! Refined Salt = bad salt; go to your room kind of salt! 'Natural' Mineral-rich Salt = good salt; salt that helps our bodies function. You go Natural Mineral-rich Salt! I heart you! "Salt" is sodium chloride; Sodium is an essential nutrient, the body cannot manufacture sodium. Chloride (not chlorine) is also important for optimum health. It preserves the acid-base balance in the body, aids potassium absorption, supplies the essence of digestive stomach acid, and enhances the ability of the blood to carry carbon dioxide from respiring tissues to the lungs. Our most commonly used conventional 'table' salt is a Refined Salt. Refined salt is blasted with heat, changing it's structure. It's then "chemically cleaned" (with chlorine bleach, waaay bad! way!) and additives such as dextrose, or synthetic iodine thrown in. This takes the life force of the essential minerals and trace elements, leaving us with a processed Sodium Chloride - a product that is far from being naturally alive with minerals, and is in fact a dead chemical. Our bodies have to sacrifice energy in order to try and metabolise refined salt, and it upsets many processes within the body, including fluid balance and elimination systems. 'Natural' Mineral-rich Salt, such as Sea Salt, are becoming better recognized and used, due in part to the popularity of such shows as, "Top Chef," and events such as the Rehoboth Beach Chef Showdown I attended today. Thank you to great local chefs such as Jay Caputo of Espuma and Porcini House (http://www.espumarestaurant.com/), Kevin Reading of Nage (http://www.nage.bz/rehoboth_beach/index.htm), and Ian Crandall of Kindle. You guys have our backs - let's hear it for sea salt! We have a love affair with sea salt at G4U Market, especially the brands with coarse grains such as Kosher sea salt. The larger crystals are easily grabbed in a rush when you're cooking. Diamond Crystal Kosher Sea Salt, from the Pacific coast, USA. 13oz container. Retails for around $1.59. Eden Foods French (Celtic) Sea Salt, 14oz jar. Retails for around $5.19. Eden Foods Portuguese (Celtic) Sea Salt, 16oz jar. Retails for around $3.51. 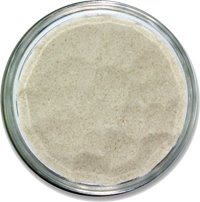 Frontier Herb Fine French (Celtic) Sea Salt, 7oz shaker. Good option to replace that salt jar on your dinner table. Retails for around $2.15. Frontier Herb Coarse French (Celtic) Sea Salt, 32oz container. Retails for around $3.55. La Baleine Sea Salt (available in Fine and Coarse), 26.5oz container. Retails for around $3.90. Le Saunier de Camargue Fluer de Sel (French Celtic Sea Salt), 125g container. Retails for around $8.15. Halen Mon, a great Celtic sea salt, from the Atlantic ocean, off of the coast of Anglesea, in North Wales, is a lovely certified organic sea salt. We have just found a supplier in the USA for this salt, so look for it in time for St. David's Day (March 1). G4U Market can obtain sea salts in large packs. These are economical for food service, or for splitting up amongst good friends. There are ways of getting salt in our diet without reaching for the salt (celery anyone?). Ever noticed that Swiss Chard tastes salty, as well as sweet? I don't personally use a lot of salt in cooking, but I do use a good sea salt in moderation. It really helps my cooking (it needs it!) and definitely has its place in our home kitchen, right up there with Celery and Swiss Chard! It seems variety and moderation are a balanced spice of life! Dietary sources of salt are a whole new blog. Stay tuned! Here's a small print disclaimer to satisfy my insurance company. "Readers are reminded that the information provided is general in nature. Please check with a licensed medical practitioner, and nutritionist before making diet or lifestyle changes." We're in the food business, not the mind reading business! Until next time, "Whoop-de-doo!" Go wide, go local, go Good For You! Rah rah!